Where there are birds, there are usually foxes. 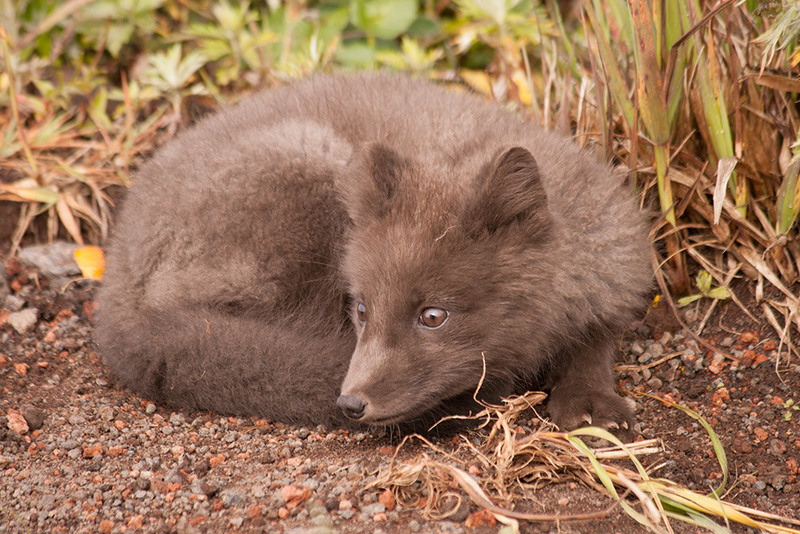 On St. Paul Island a Pribilof subspecies of Arctic Fox, most of which are of the blue phase, can be seen virtually all over the island, including in the town of St. Paul. They are small and generally hunt birds, but don’t be surprised to find one digging through a trash bin left out or hiding under your table while you’re eating lunch. Throw a piece of fish and you’ll have a new friend.